Photos by Fred Bruenjes and Jen Winter. 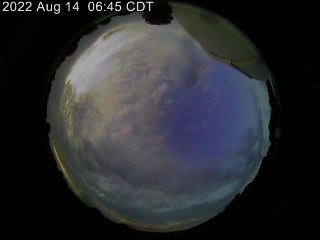 All photos taken with a Canon 5D camera, modified by Hutech for enhanced Hydrogen Alpha response. 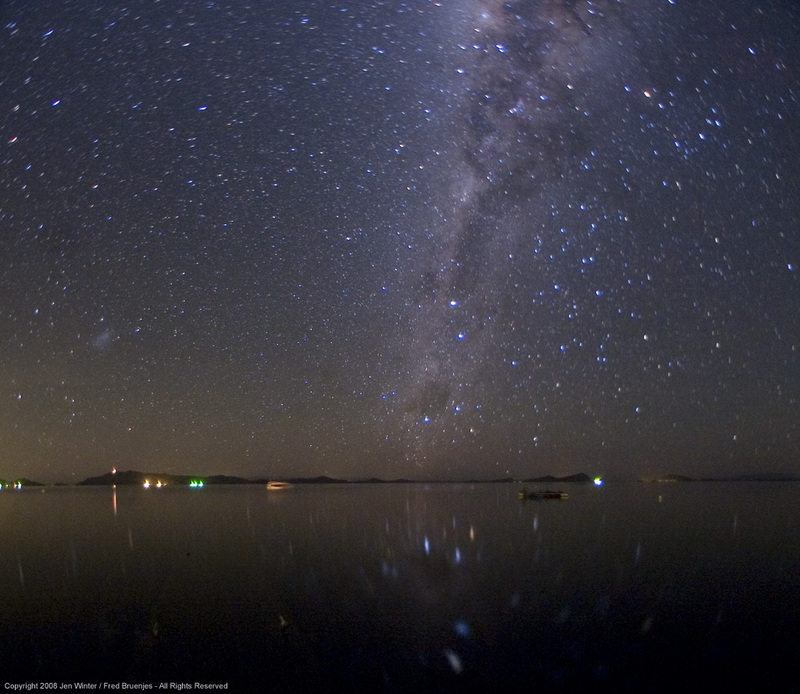 8mm Fisheye view of stars reflected in Lake Titicaca. 8mm F4 ISO800 1x120sec. 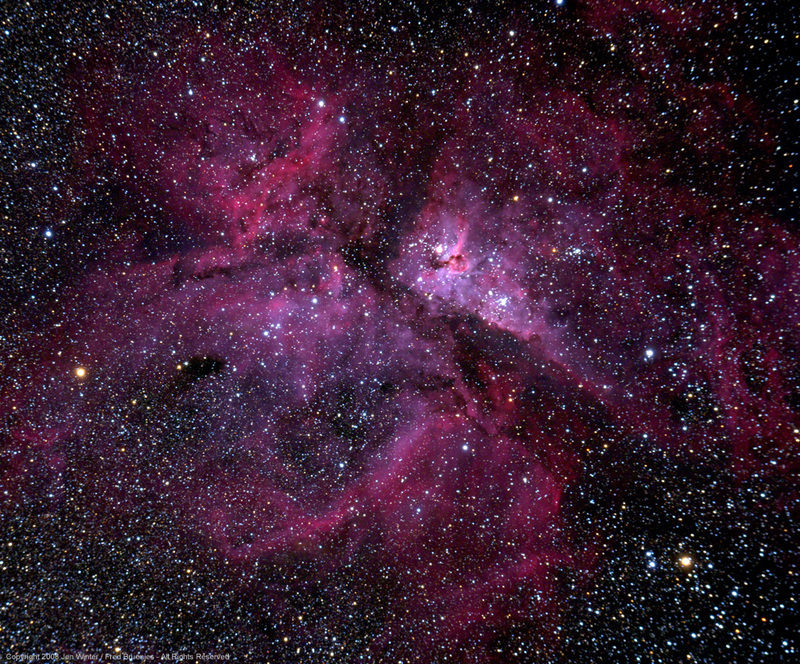 Eta Carina, AT111 refractor. 777mm F7 ISO800 9x240sec. 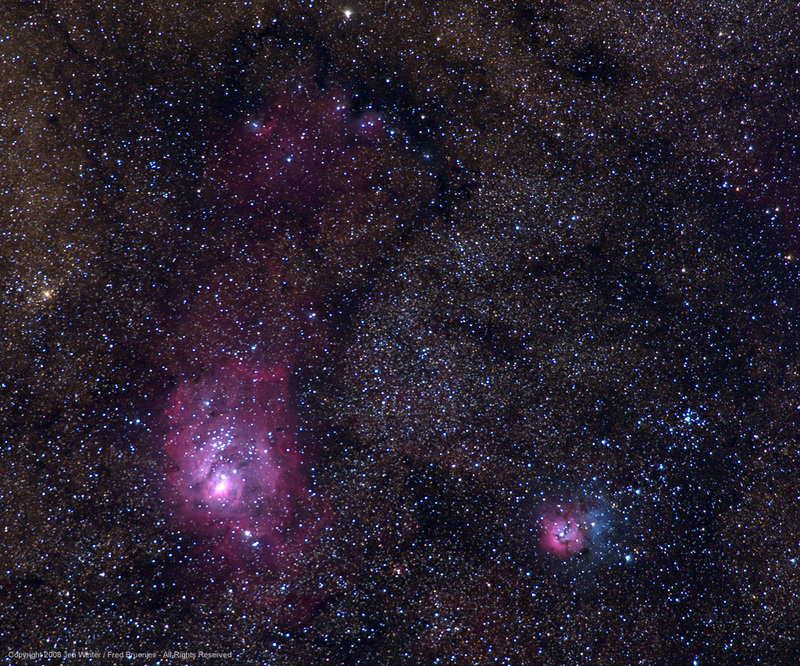 Lagoon and Trifid nebulas, 400mm F5.6 ISO800 4x480sec. 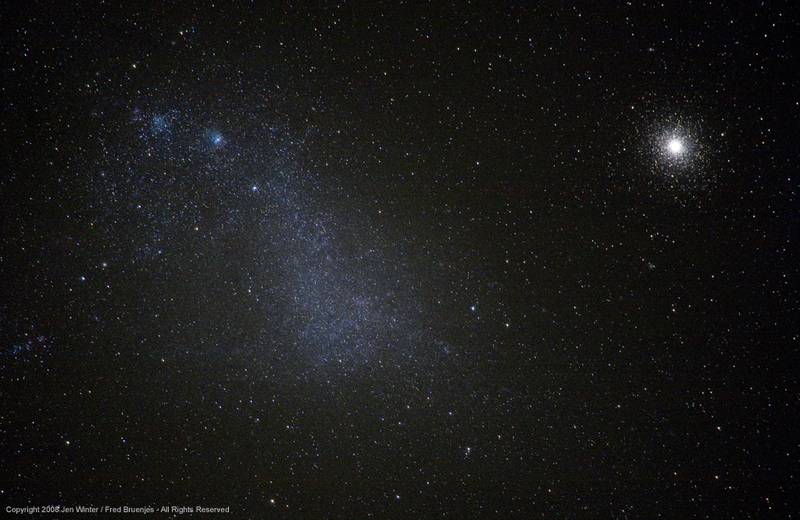 SMC and 47 Tucanae, 400mm F5.6 ISO800 1x150sec. 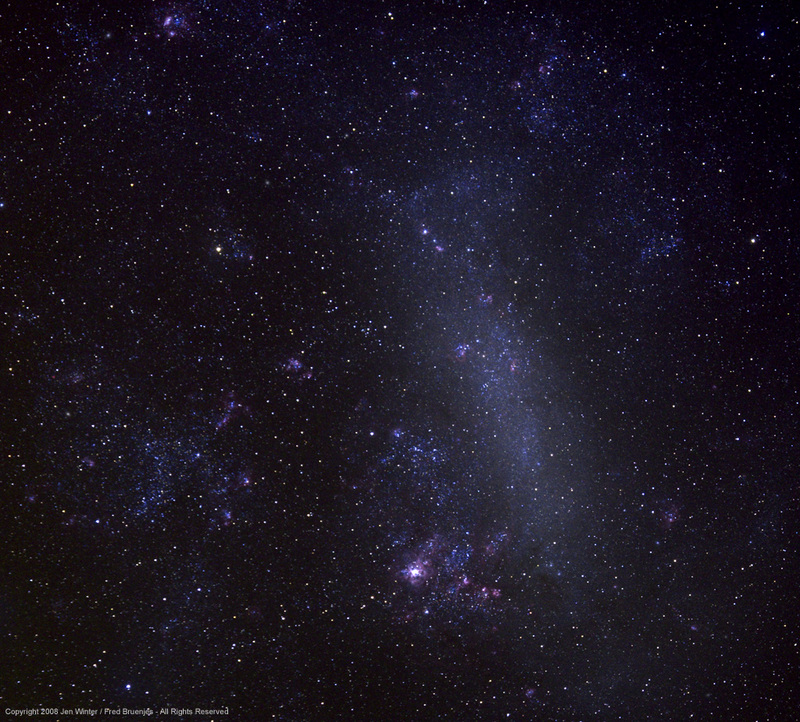 LMC and Tarantula, 200mm F5 ISO800 6x240sec. 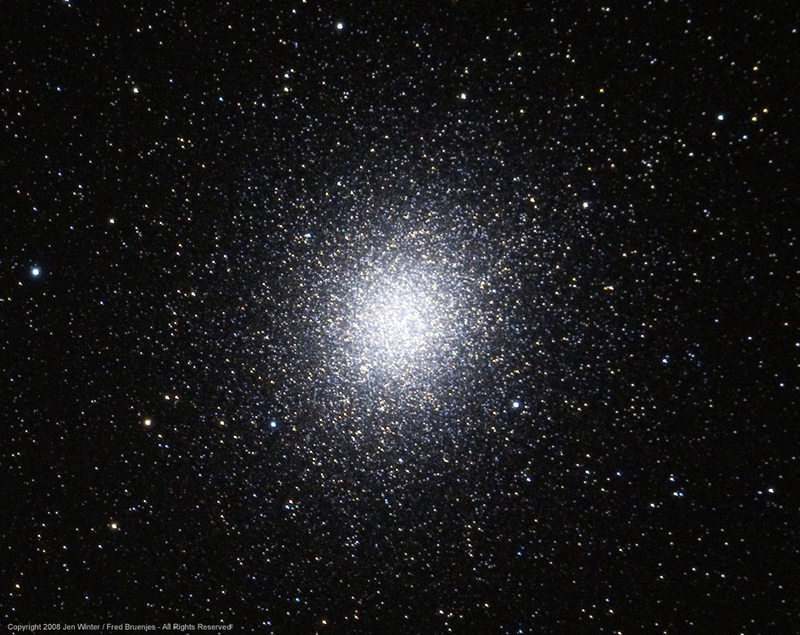 Omega Centauri, 777mm F7 ISO800 1x240sec. 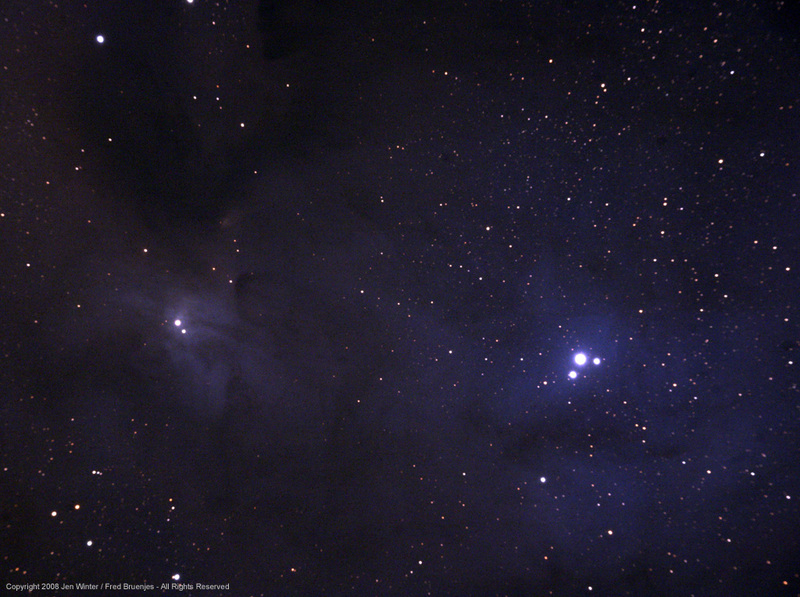 IC 4603-4604, 777mm F7 ISO800 4x480sec. 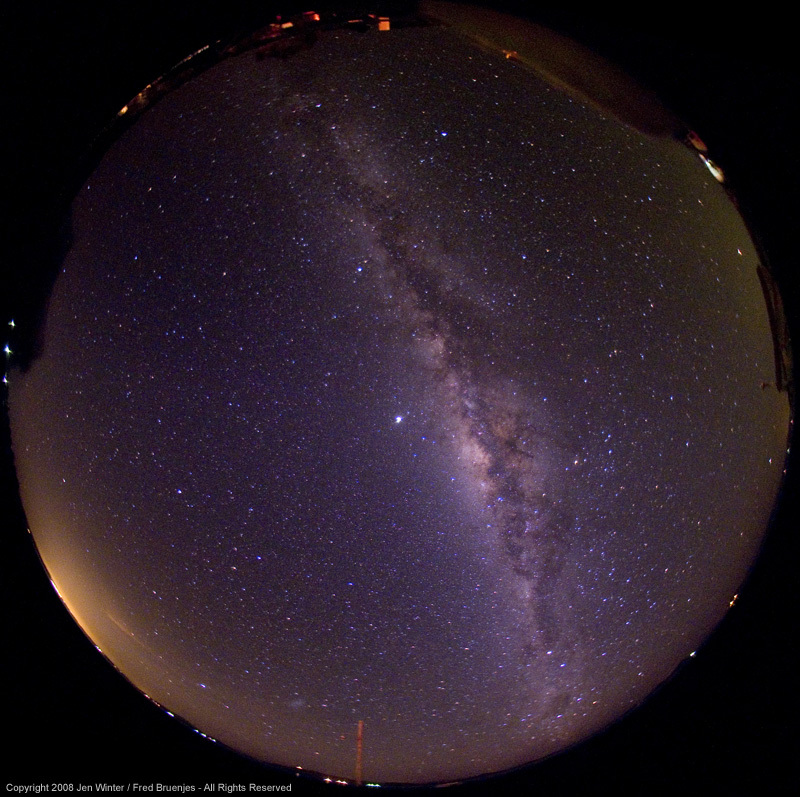 Milky Way, 8mm F4 ISO3200 1x30sec. 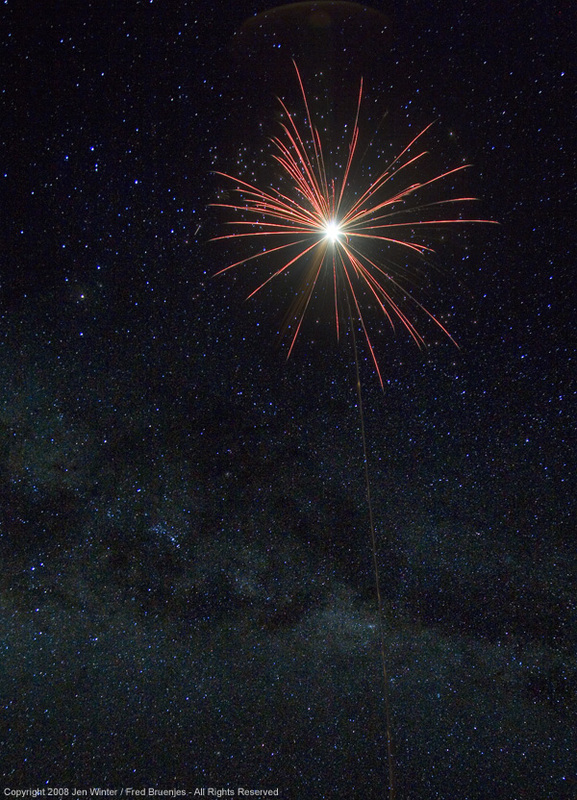 Gonzalo's fireworks on 4th of July, 24mm F8+F4 ISO400+3200 11+4sec. All text and images are © 2008 Fred Bruenjes / Jen Winter - All Rights Reserved. Image inlining (hotlinking) and/or framing are strictly prohibited. No reproduction, dissemination, repackaging, hosting, or other use of these images is allowed without written permission.